When you want your Infiniti to stay at the pinnacle of luxury, just like it was the day it left the showroom, you need regular repair and maintenance work done. The team of Infiniti repair technicians here at Service Street have become well known for being able to do this work constantly for all cars in the luxury class market. Owners of high class cars come back to us over and over during the many years they own their cars because we earn their trust the old fashioned way - by doing great work for them! This ‘great work’ being done by our Infiniti repair team at Service Street takes place thanks to the training they get, the experience they have, and the equipment they use. You don’t get a great name for yourself in the luxury car community by accident, you have to want it. We want to keep our good name so our team is up to date on the latest repair needs for all Infiniti models, and their use of our computerized diagnostic equipment keeps them one step ahead. There is also great work being done by our support staff at Service Street. 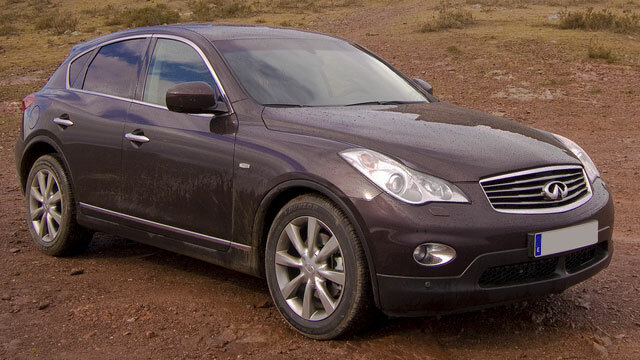 They source the parts that are needed to do a high quality Infiniti repair job. Low quality parts have no place in your car, and we find the best OEM and aftermarket parts so that you don’t have to suffer with low quality. Our support staff is also ready to book you in for your appointment at our shop right now, call them up and your Infiniti will be back in excellent condition thanks to our expert repairs in no time.